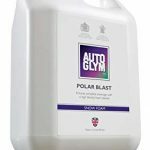 New from Auto Glym is Polar Blast, which is a pH neutral pre-wash that takes you from ‘caked in mud’ to ‘caked in foam’ in the time it takes you to do a lap of your car with a pressure washer. 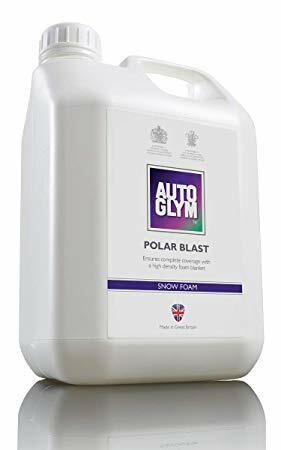 Once you’ve had your fill of 90’s nightclub nostalgia and your thick, pillowy, foam party has covered every inch of your car; put your feet up (for ten mins max) and sit back in awe of the amazing ‘cling ability’ of Autoglym’s already established and excellent snow foam formula. As the product gets to work, visibly drawing the larger particles of filth from your vehicle, you’re graced with beautiful fizzing and popping sounds, which provide a contrasting chill-out room serenity to your earlier laser-reaching excitement. What’s even better about these sounds is they signify that you will avoid the chance of swirl marks during your wash phase. Rinse off and you’re deep-cleanse-ready for another new product from Autoglym, Polar Wash. The product has an RRP of £17.40 and is available now via www.autoglym.com or from your nearest Autoglym reseller ENDS. Print article This entry was posted by admin on February 8, 2019 at 12:15 am, and is filed under News. Follow any responses to this post through RSS 2.0. Both comments and pings are currently closed.